This Coliseum health insurance company review takes a look at the Coliseum Reinsurance Company based in New York, NY. Coliseum Reinsurance Company was founded in 1978 and now operates as a subsidiary of AXA America Corporate Solutions, Inc. AXA is a worldwide provider of multiple lines of insurance for individual consumers, businesses, nonprofit organizations, and government entities. Search online for health insurance rates by entering your zip code now. As a reinsurance company, Coliseum works a little bit differently than the standard insurance companies we normally think of. Rather than write policies specifically for individual consumers or business entities, Coliseum writes policies for other insurance companies. In other words, your health insurance company needs to carry an insurance policy of its own in case it suffers devastating losses due to an excessive number of claims, a natural disaster, or any other number of possibilities. A reinsurance policy protects them from loss in the same way your auto or homeowners policy protects you. Coliseum Reinsurance Company is one of the entities that provide this type of insurance. They will cover any losses incurred by their clients as well as make payment on claims when a client has insufficient resources to do so itself. This type of reinsurance operation is very common; we just do not hear about it as much because these companies operate in the background. To the best of our knowledge, Coliseum Reinsurance Company only maintains their single office in New York City. Of course, there are AXA offices all around the world. For your convenience, we have provided the address and contact information for Coliseum Reinsurance Property below. Typically, large insurance providers in the United States work with a network of local agents in order to sell and service policies. Although it is more common for auto, home, and life insurance policies, it is not unheard of with health insurance. However, since Coliseum Reinsurance Company does not provide its products at the retail level, they have no need of local agents in the same sense a traditional insurance company would. Coliseum is more likely to provide their products on a direct-to-customer model. Their representatives will have direct contact with representatives of the smaller insurance companies they insure. Policies will be negotiated over the phone or electronically, as will the servicing of those policies. It may be that Coliseum does have representatives strategically based in certain parts of the country in order to facilitate customer care a bit more efficiently. Financial strength ratings for Coliseum Reinsurance Company are not necessarily poor, but they are not as good as they could be. While A.M. Best gives parent company AXA a rating of A+, Coliseum only gets a rating of B++. According to the most recent reaffirmation of these ratings, A.M. Best cites Coliseum’s runoff position as the reason for its lower ratings. Coliseum currently provides reinsurance for another AXA subsidiary operating under the name of Mosaic Insurance. The difficulty for Coliseum lies in the fact that Mosaic is not generating any new business and currently has insufficient cash reserves to buffer against catastrophic losses. Picking up the slack means Coliseum Reinsurance Company is at somewhat of a risk, even though their own financials have them in a good position. The most recent reports indicate that Coliseum maintains total assets of $618.8 million, a policy surplus of $403.9 million, and current working capital of $26.5 million. Coliseum Reinsurance Company does not maintain its own web presence, so it is somewhat difficult to comment on their employment opportunities. 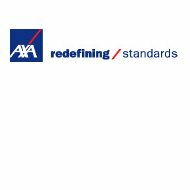 However, AXA’s corporate website does contain employment links for all its worldwide divisions. It is assumed that job seekers could follow those links to the individual websites to find information about employment opportunities. It is not certain whether those links supply complete job descriptions as well as information about submitting your resume. It is also not clear whether Coliseum Reinsurance Company would do their own hiring or send it through the AXA corporate office. If you think you might be interested in working for Coliseum, your best bet might be to contact them directly using the information above. You might also search for their name as you scour job seeker databases on the Internet. Your search for affordable health insurance begins as soon as you enter your zip code into our free search tool.